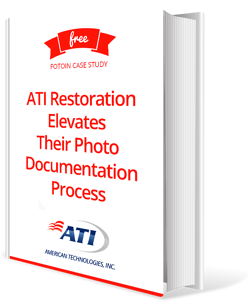 ATI Restoration (American Technologies, Inc.), a leader in restoration, is the nation’s largest privately-owned restoration contractor. Each day 100s of ATI field technicians, superintendants and project managers go out on site and they need to visually document the situation. They needed a better solution to streamline the process, increase productivity and get the most value out of all the other systems they invested in including Egnyte and Salesforce.